Saint-Gobain PAM is the worldwide leading in the manufacturing of comprehensive pipe solutions for drinking water and raw water supply. 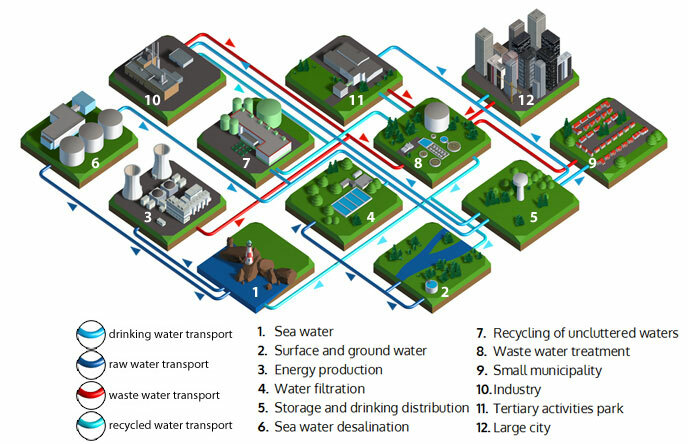 Potable water: water circulating in the distribution network that is suitable for human consumption. Raw water: untreated water that has not yet been introduced into the distribution network. The variety of ductile iron pipeline ranges by Saint-Gobain PAM includes coatings and joints that are adaptable to various geographical configurations and different types of environment. Saint-Gobain PAM's comprehensive pipeline solutions can withstand all the hazards of transport, handling, installation and operation. Flange spigot, flange socket, double flanged, double spigot and short length socket spigot pipes for both water and sewer application. Submit a request to download our Water and Sewer price list. By filling in the below form, you agree to being contacted by Saint-Gobain PAM UK.